By any measure HSV’s first foray into the two-door performance car arena has been a resounding success. And, it’s a story that’s set to continue with the HSV Coupé Series 2. 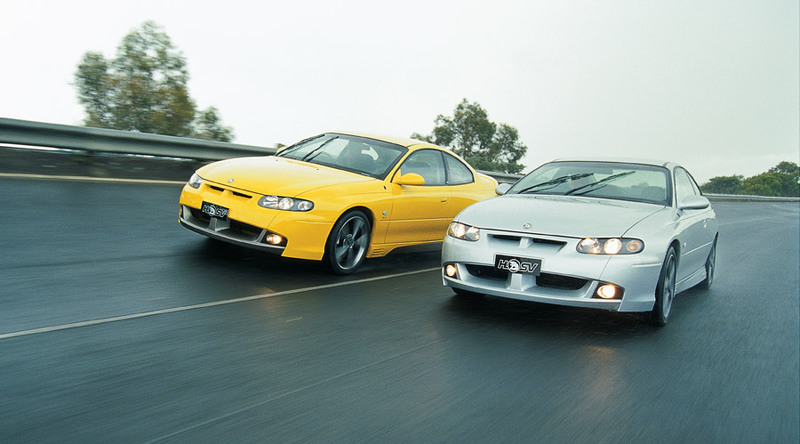 In 2002 nearly 800 GTO and GTS Coupés were snapped up by eager buyers. In contrast to conventional sales patterns, which tend to taper off after a strong beginning, HSV’s Coupé duo have maintained their popularity and, today, are still amongst the most sought after HSV models. What’s more, a significant proportion of sales are conquests from rival import manufacturers. Such was the impact of HSV’s landmark two-door model in terms of styling, performance, sophistication and, particularly, value for money, it set new benchmarks for the market. Many buyers of prestige European coupes, who had never previously considered an HSV, found the Coupé’s virtues impossible to ignore when compared with the specification and price of European equivalents. 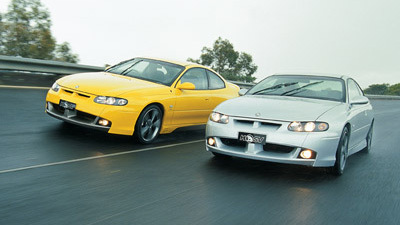 HSV’s winning formula has established the GTO and GTS Coupés as legitimate alternatives to prestige European coupes. A fact that is highlighted by the significant number of top end European models that are traded-in on HSV Coupés. With the market clearly ‘head over heels’ with HSV’s two-door flagship, there was no thought of making wholesale changes for Coupé Series 2. However, there are significant improvements (many of which are influenced by those seen on HSV’s Y Series sedan) which further refine the package without diluting the model’s unique character. One area deemed strictly ‘off limits’ was the vehicle’s dynamic styling which, to this day, maintains a strikingly aggressive presence on the street. As a result, exterior changes are limited to a blackout tail light treatment and a discrete GTO or GTS badge in the lower grille. GTS Coupé updates to the new 19-inch wheel design from its sedan namesake, while GTO adds the 18 and 19-inch wheel options as per Y Series. If exterior changes are subtle the interior can only be described as substantial. Centrepiece is the stylish new dash layout (seen on Y Series) complete with HSV’s unique steering wheel and white ‘chameleon’ instrument cluster, including HSV logo and the vehicle’s individual build number incorporated into the Multi Function Display. Sporting touches include race-style alloy pedals and HSV’s unique centre sports binnacle incorporating oil pressure and volt gauges. Luxury appointments haven’t been forgotten either with standard dual zone climate control air-conditioning, a Blaupunkt premium sound system with in-dash six stack CD, dual foldaway cup holders and unique to Coupé leather trim. GTO retains its colour-keyed leather and Lismore trim featuring an HRT style race suit theme in standard black or in optional red, yellow or tan. GTS Coupé continues with the distinctively plush ambiance created by its premium quality ‘Chain-mail’ leather seat trim, which is imported from Bridge-of-Weir in Scotland. However, it’s the refinements that are felt rather than seen that will create the biggest impact with Coupé 2 drivers. Major engine recalibrations, which brought considerable driveability benefits to Y Series, have been transferred to Coupé 2. That sees an increase to 260kW for GTO’s HSV enhanced LS1 V8, with that power now delivered in a smoother more refined manner. GTS Coupé’s raw 300kW top end performance hasn’t changed but recalibrations to the C4B V8 bring significantly enhanced bottom-end power delivery and overall smoothness. Automatic transmission is an option on GTS Coupé for the first time and, due to revisions and recalibrations, both automatic drivetrains offer more refined gearshifts. Assisted by its highly rigid chassis the original Coupé boasted one of HSV’s best ever ride and handling packages but that didn’t stop HSV’s chassis engineers refining it even further for Coupé 2. A revised power steering gear calibration sets the scene by delivering greater on-centre steering feel and a more linear response to driver inputs. For GTO, the ideal accompaniment proved to be HSV Touring 3 suspension tune, which has been a huge hit on Y Series ClubSport and ClubSport R8. While components are essentially Touring 3, including digressive rate shock absorbers, the rear rollbar size has been reduced from 15mm to 14mm to enhance rear grip. The result is not only sharper handling but also a noticeably more refined ride quality for GTO Coupé. GTS Coupé has always been the pick of the HSV bunch in terms of handling and that remains the case with the only change deemed necessary being the revised steering rack. At launch the original HSV Coupé set an exceptionally high benchmark in the market as a value for money, world-class two-door high performance V8 sports model. For Coupé Series 2 HSV hasn’t been tempted to change the recipe, it has simply introduced a raft of detailed refinements that serve to raise that benchmark a significant notch higher.